These spray apints are specifically developed for finishing aircraft models. Each color is formulated to provide the authentic tone to 1/32 and 1/48 scale model aircraft. Now, the subtle shades can be easily obtained on your models by simple spraying. The paint is made up of a synthetic acrylic lacquer that cures in a short period of time. Each can contains 100ml of paint, which is enough to fully cover 2 or 3, 1/24 scale sized plastic model car bodies. 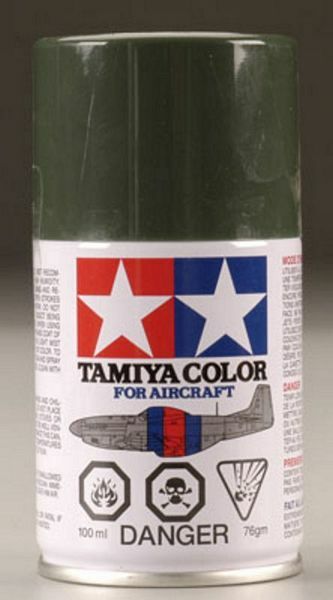 Tamiya spray paints are not affected by acrylic or enamel paints. They may be applied over a cured spray painted surface.